Weather-fighting Parka to face a sleet storm. The mission ahead offers no guarantees. 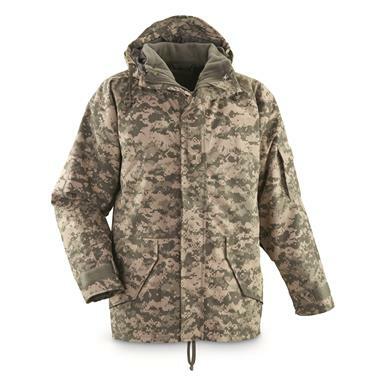 Based on current "extreme weather" clothing offered by today's militaries, this 3-in-1 Gen 3 Parka is a pro at adapting to changing conditions in the field. 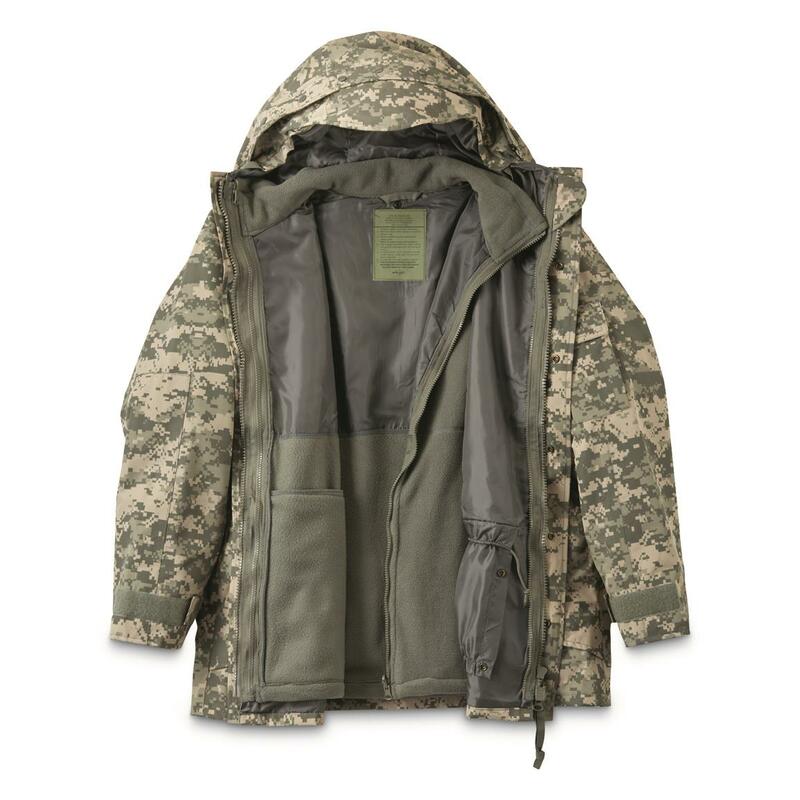 Outer Parka uses a 100% waterproof laminate to block even heavy rain while allowing your body to breathe naturally. 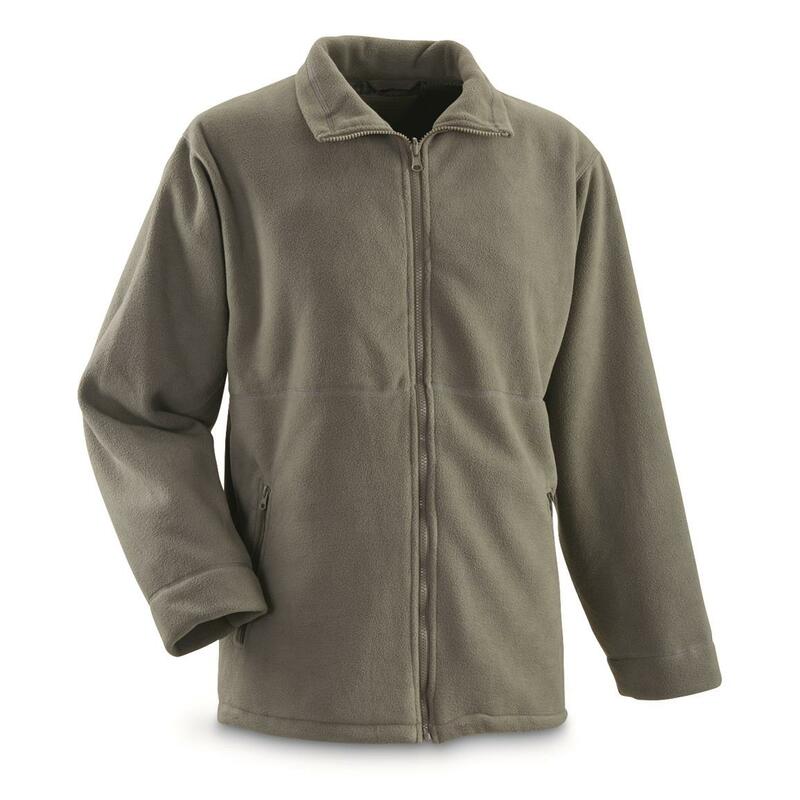 Inner Jacket offers thick, soft, polyester fleece for warmth in the cold. Combine both and take on the worst Mother Nature can dish out. 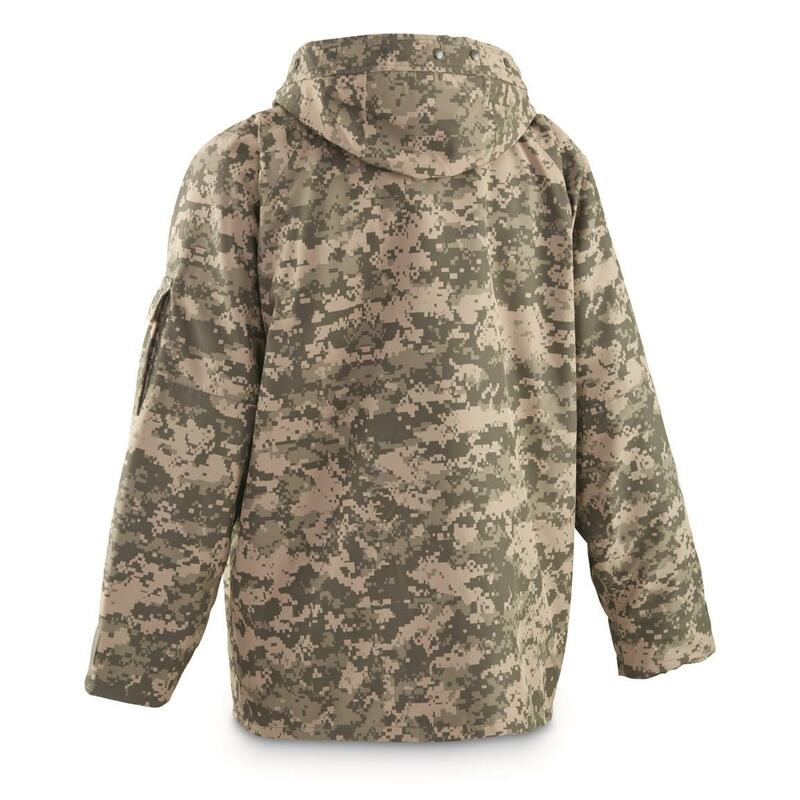 Decked out in cool U.S. military-inspired ACU Digital Camo.